Do I have to sign a contract? There is no contract required if we are just performing a one-time treatment. 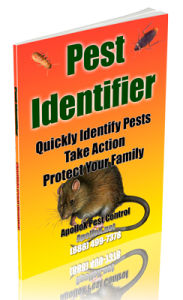 We have contracts for preventative pest control treatment. Will the same person come every time? Yes. Unlike other companies that often send a variety of people, at ApolloX the owner/licensee does the inspection, prepares the estimate and then comes to every job. Will you come ready to do the job? Yes. Our exterminating trucks are fully equipped at all times. If you’d like us to perform the work upon acceptance of the estimate we will be ready. Do you do ladder work? Yes. For most jobs our trucks carry all the ladders needed. On occasion the job may require an extra long ladder. If so, we keep one at the office. Can you get into my attic that only has a cubby hole opening? Yes, we have a telescoping ladder that allows us access through virtually all attic openings. I don’t want to be home all day waiting. How do you schedule you work? We give our clients a 2 hour window where someone will need to home. Can you call me when you are on your way? Yes, if you can be at your home within 20 minutes of our call. Will you call me when if for some reason you are late? Yes. However, it is very rare that we cannot make an appointment. There is no such thing as “no show/no call”. Are you licensed? Yes. The company owner/licensee will be performing the exterminating work on your house. How do I contact ApolloX Pest Control for Help? 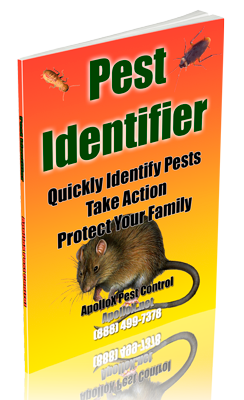 Call (888) 499-7378 for 24/7 quick, efficient, discreet help controlling pests. Schedule online.